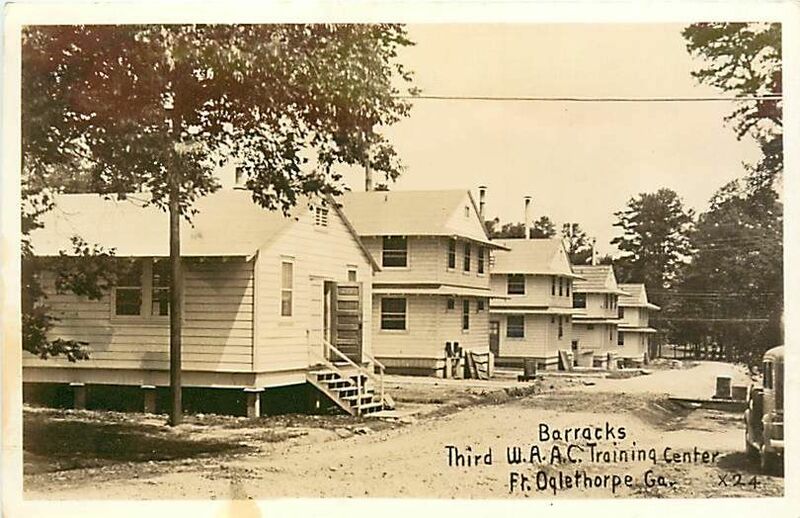 What did Aunt Marian do and think during her first day of basic training at Fort Oglethorpe in Georgia? Unfortunately I don ‘t have any letters or journals that record her thoughts, but here’s what another WAC named Aileen Kilgore Henderson wrote about her train trip to Chattanooga, Tennessee which is just across the state line from Fort Oglethorpe—and her first day or so there.
. . . arriving in Chattanooga about seven last night. Ate an elegant supper in the train diner—ham again, thick and tender! 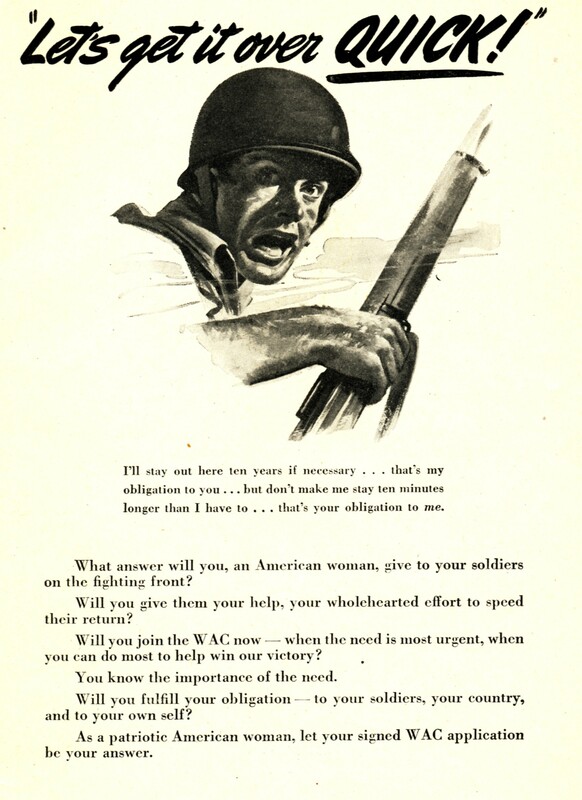 We recruits had a U.S. check for ours, but the WAC private chaperoning us had to pay for hers. But the guy in charge of the diner refused—he said her dinner was on the Railroad. So here I am at Fort Oglethorpe. . . . Half an hour from now recruits assigned to Beds#11 through #20 are ordered to scrub, dust, polish, shine windows, and otherwise clean up the Orderly Room. Any minute we’re expecting the fire drill whistle to blow. Last night’s drill unsettled us quite a bit. Another unsettling thing was the steady stream of new girls arriving in the night, stomping through the dark to find their beds. I got this diary entry out of a book called Stateside Soldier: Life in the Women’s Army Corps 1944-1945 that was published in 2001 by the University of South Carolina press. 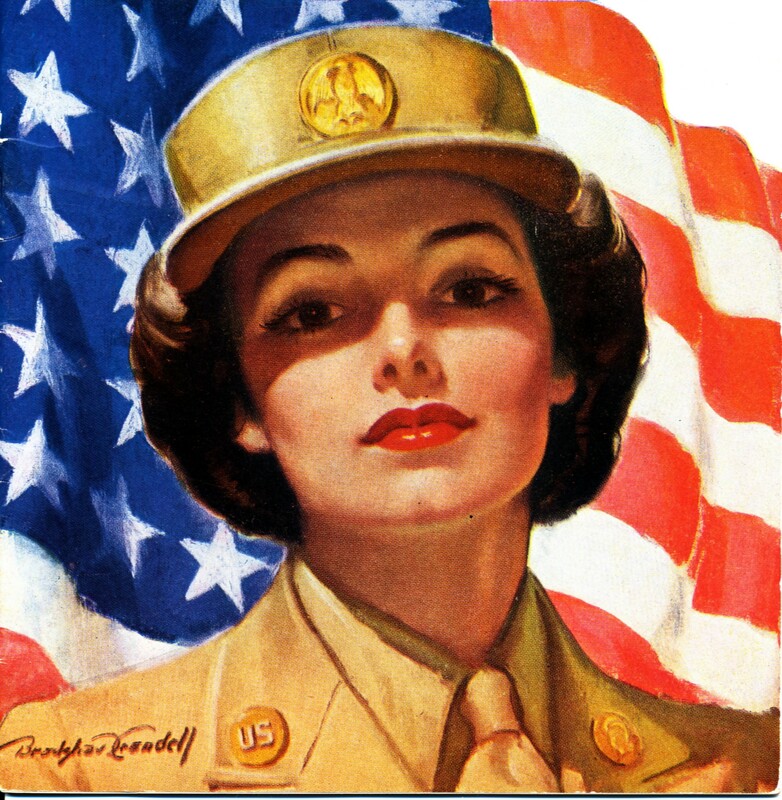 The book contained the diary of Aileen Kilgore Henderson, who was in the WACs during World War II. Good grief, Aunt Marian was in her 40s—and had lived her entire life in rural central Pennsylvania. She lived with her parents and helped on the farm until her father died in 1943. Aunt Marian had 8 living brothers and sisters when her father died, so she probably needed to find another home and job. She was a woman with an 8th grade education—and it seems like the typical jobs for a middle-aged woman with her background would have been working in a factory or as a store clerk. 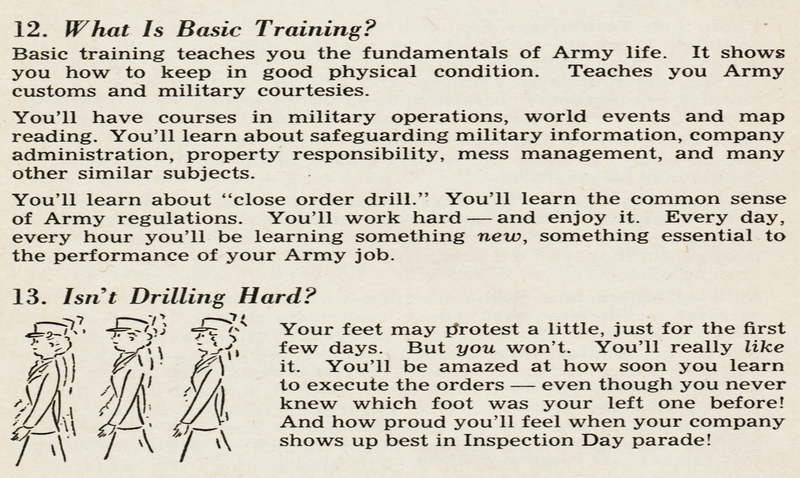 But it was the middle of World War II—and recruiting ads like this this one may have motivated her to enlist. 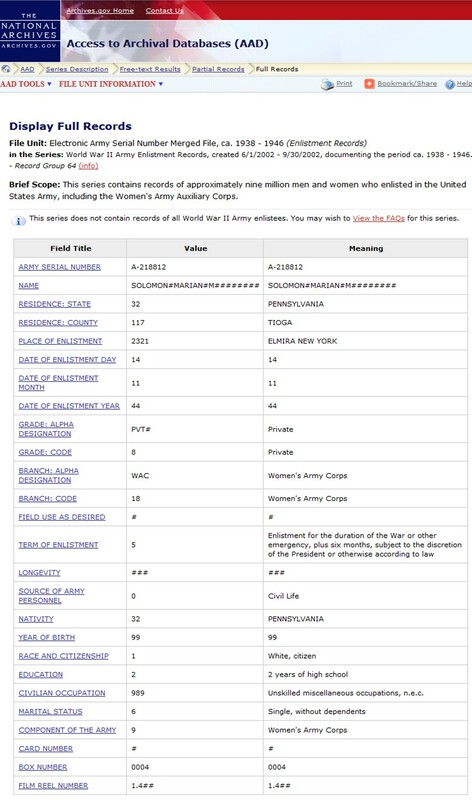 What is the Women’s Army Corps (WAC)? 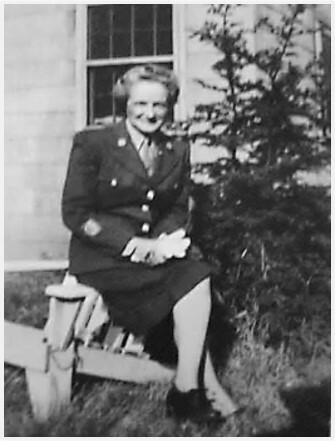 Aunt Marian spent almost 20 years in the Women’s Army Corps—from late 1944 to early 1964. 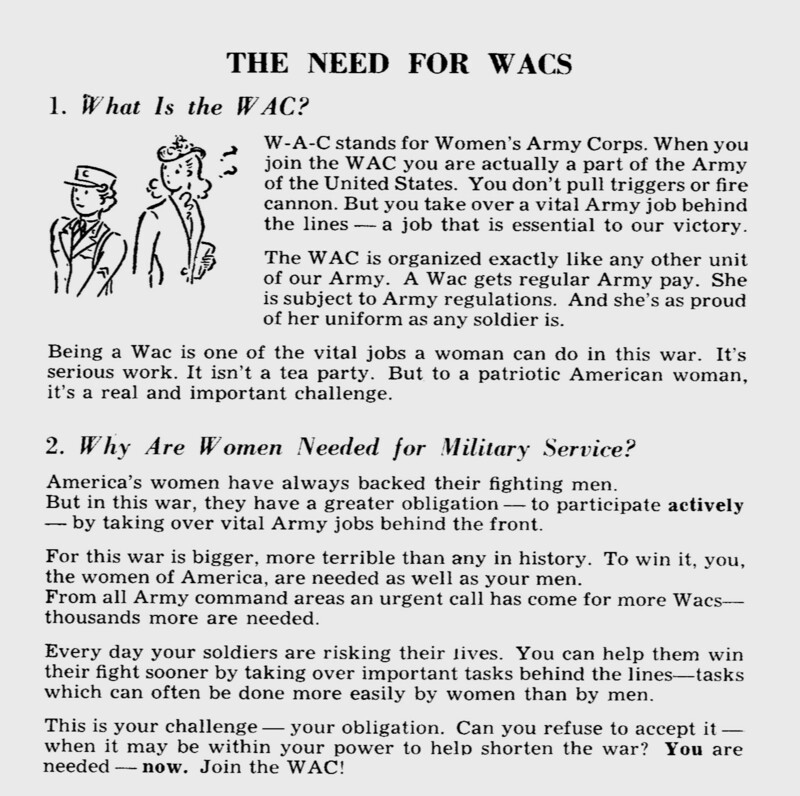 The WAC evolved across the years–and it was disbanded in 1978, when the male and female units of the army were integrated–, but this description of the WACs in a 1944 recruiting publication called 73 Questions and Answers About the WAC provides a nice description of the organization she joined.